An oasis of roleplay and classic Dungeons and Dragons, Arelith has been the definitive online RPG experience for over 13 years. Play in a truly persistent world that grows and evolves with or without you. Create the story you’ve always wanted along side hundreds of other players who are always in character. Arelith is developed entirely within the Neverwinter Nights engine, this means that all you need is a copy of the game to start playing. No other downloads or purchases required. 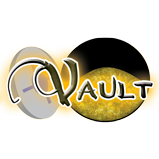 A vault of community made modules and custom content. We are a 'Free to Play' game that is developed by a strong team of volunteer staff. Unfortunately, server hosting is expensive. Support from our players helps offset this cost and can allow room for expansion. Donating is appreciated but not required. "It is expected that all players will be familiar with the rules upon joining." We’re a roleplay server, this brings with it the requirement you stay ‘In Character’ at all times. ‘Out of Character’ PMs are allowed. Combat and Political actions against other characters must be interactively role played. If your character is killed by another (or vice versa), you must wait 24 real time hours before interacting again. Stealing more than once per 24 real time hours against the same player is prohibited. We do not tolerate unwarranted rudeness, harassment and poor gamesmanship. Arelith is a ‘PG-13’ server, cybering is not permitted. The Dungeon Masters are the final authority in any dispute, question or issue that may arise.